Set in 1824 Edo (now known as Tokyo), a much accomplished artist of the time works tirelessly in his house-atelier. He is as short-tempered and sarcastic as he is brilliant, with no passion for money or meaningless pastimes like drinking. His name is Kutsushika Hokusai and decades later his work would come to mesmerise Degas, Van Gogh, Monet, Kilmt and Debussy. But very few were aware of the woman who often painted for him while remaining uncredited. This is the untold story of O-Ei, Master Hokusai’s daughter, a free-spirited woman overshadowed by her larger than-life father. She inherited both his stubborness and his talent, and her art is so powerful that it leads her to trouble. 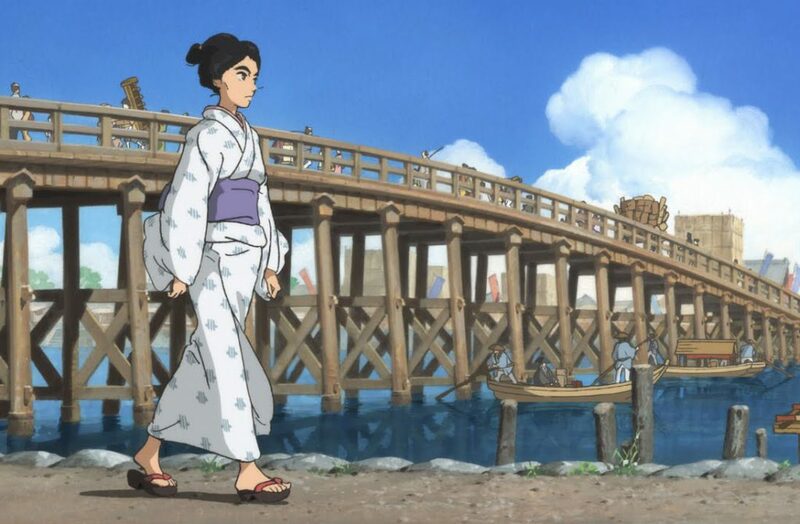 ‘Miss Hokusai’ is a visual feast on the eyes. There’s no English dub available, only French, so I watched it in the original Japanese with English subtitles. And I’ve never been more happy to read subtitles because it meant my eyes were always on the screen looking at all of the beautiful hand painted backgrounds and flawless animation. 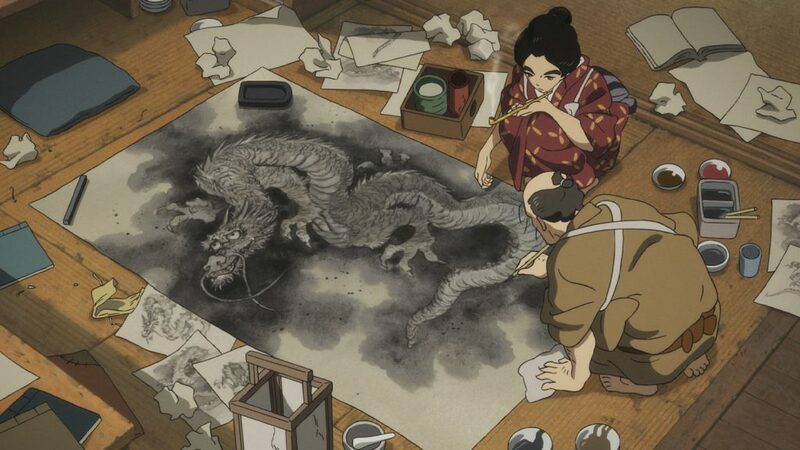 I’d forgotten how much I missed hand-drawn animation; as Western family movies seem to only be moving forward in digital 3D rendered movies, ‘Miss Hokusai’ brought back all the nostalgia of old-school Disney movies and reminded me why I love Japanese animated movies so much. 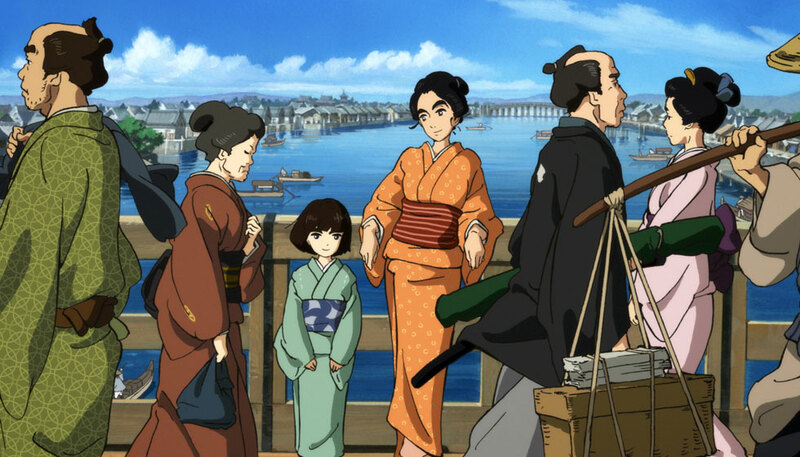 The amount of care and thought put into Japanese animation is breath taking, and ‘Miss Hokusai’ is no exception to that. The director Keiichi Hara was a life time fan of the original author Hinako Sugiura’s mangas, with ‘Sarusuberi’ being his favourite. ‘Miss Hokusai’ was a life time passion brought to life, and the love and care for Sugiura’s original work shows in every detail and frame. It’s not a particularly fast paced movie, though that doesn’t mean it feels like the pace is crawling either. Whilst watching, it didn’t feel like anything was unnecessary. 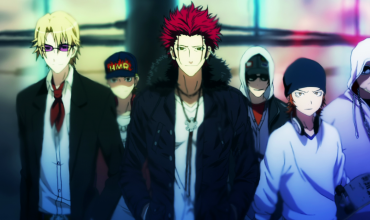 Everything had a purpose to further the storyline. It’s a tale come to life. It’s moving art. I can’t go on enough about how beautiful the artwork is; which as a fan of Hokusai’s artworks makes me really happy. We get to see several of his most famous works in this movie, but all from the perspective of his daughter. It was also kind of cool to watch a movie from the Edo Period of time that isn’t focused on Samurai or Geisha, but from a more common and relatable place. 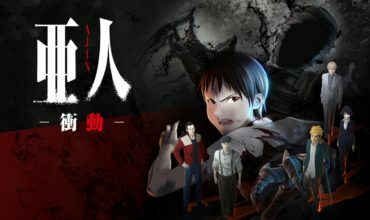 It’s a gentle movie but I wasn’t bored once whilst watching. If you want to relax and watch something beautiful and don’t mind subtitles then this is the movie for you. This DVD set comes with two discs; the movie on one and the extras on the other. Extras include a Two Hour Making of Documentary and an Exclusive Interview with Keiichi Hara. 1080p high definition, 90 minutes long, and like I mentioned before in Japanese and French with English subtitles.